A photo of Trevor and Devon McCabe from a GoFundMe page to pay for medical expenses. Her mom didn't realize Molly even knew how to use FaceTime...until she got a call while at work from her sobbing daughter. So many studies warn about the dangers of electronics and young children. In this case, an iPhone and a tech-savvy toddler saved a man's life. Molly McCabe, 3, was home with her father and 1-year-old sister during the July 4th holiday when she saw her father start convulsing on the floor of the family's home in Virginia. Molly grabbed her father's iPhone and FaceTimed her mother, a nurse at the nearby hospital's neurointensive care unit. When her mother didn't answer, she called again, according to an account by the Winchester Star. "She was sobbing, crying, 'Look at daddy, look at daddy.' I was immediately aware that something was wrong," Devon McCabe described to the Winchester Star. Not only did Molly manage to call her mom, she also turned the phone around to show her what was happening to her dad. Devon McCabe told her daughter she'd be home soon, called 911 and called a neighbor to go the house. At the hospital, her husband was placed on life support. He had suffered a stroke. Devon, 29, said the family FaceTimes the grandparents every other day, but SHE makes the calls. She didn't even know that her daughter knew how to use FaceTime. She guesses her daughter has seen her do it so many times that she figured it out. Her husband, Trevor, is recovering and she owes it all to Molly, who also tended to her sister until the neighbor arrived. 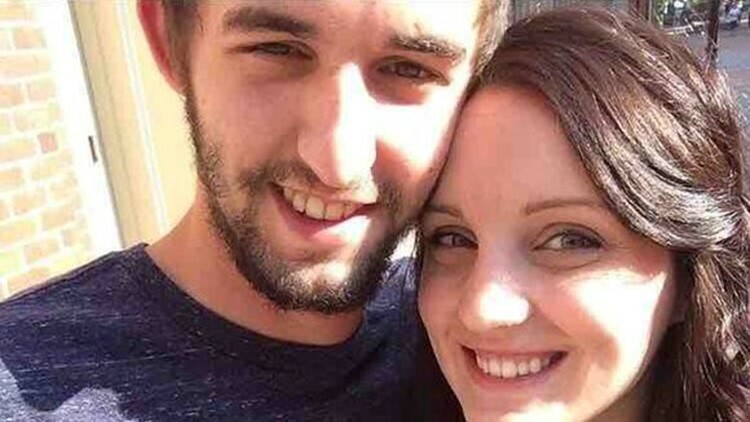 Trevor, 27, remains hospitalized, but has been moved from an intensive care unit. He struggles to swallow and remains on a feeding tube. But his speech has improved as has his walking, according to the family's GoFundMe page. Doctors said Trevor has a "rare condition," a hole in heart that never fully closed making him more prone to stroke, the Winchester Star reported. This allowed a clot to form and travel to his brain. But his wife said that doctors are "really optimistic" he can make a full recovery. And that's owed to his daughter, Devon said. "The only reason he’s doing so well is because he was able to get intervention so quickly."